It’s hard to believe that Seymour, Lady Worsley, the woman at the centre of one of the Georgian era’s biggest scandals, was not only a contemporary of author Jane Austen, but also her neighbour in Hampshire. That means the social and legal rules that governed Lady Worsley’s life also underpinned the romantic relationships that Austen wrote about. Austen’s characters talk obsessively about dowries and a woman’s worth. Although most women didn’t have dowries or only possessed small ones, heiresses like Lady Worsley had to relinquish their entire fortune to their husband upon marriage. As women weren’t legally allowed to own property in their own names, they had to defer to their husbands if they wanted access to their assets. In most cases, a woman was granted pin money by her husband but if he chose to withhold it there was little she could do. 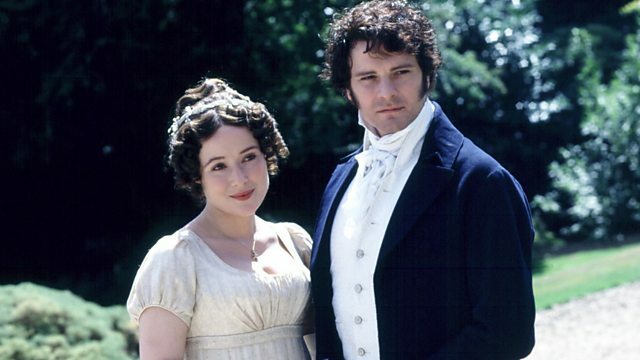 Would Elizabeth Bennett and Mr Darcy have been so happy in real life? Technically a woman wasn’t free to choose the husband she wanted, she could only refuse those who approached her and who she (or her parents) didn’t deem suitable. If she didn’t fancy any of them, she would have been under a lot of pressure to choose among the least offensive of the lot. Think of poor Charlotte Lucas marrying Mr Collins in Pride and Prejudice. Marriage and mothering were considered a woman’s sole purpose in the 18th century, and if she had failed to marry, she had failed in life. Would Charlotte Lucas marry Mr Collins if she were free to find love? There were no laws in place that prevented a husband from physically or emotionally abusing his wife. Although society frowned on this behaviour, an angry and violent husband was within his rights to lock his wife in a room and to beat and torment her. Many women had no recourse other than to leave their marriages. Even then, the law did not prevent their husbands from stalking them. The law at the time granted a man absolute paternal control over his children. This meant that if a woman left her husband he had the right to prevent her from ever seeing her children again. If adultery was involved, the law stripped her of all of her maternal rights and forbade visitation. A woman like Lady Worsley, who could no longer bear the misery of her marriage and wished to escape with a man she loved, was forced to make a terrible choice between starting a new life and seeing her children. Even if the husband in question was a notorious rake. Men alone could bring legal suits, as the law considered women possessions, with no recognised rights. A woman could not vote, attend university or – heaven forbid – enter any of the professions: politics, law, the military or the church. The cards were stacked against women who sought to go-it-alone, and often those who were cut off from their families and lacking the resources to sustain themselves had no other choice but to become the mistress of another man – or to a succession of them. But in spite of all of the warnings to the contrary, many women who fell from grace were able to lead contented and full lives outside of the conventions of society. While the process of losing their place in respectable society, their homes and their families would have been excruciating, many such as Lady Worsley, Grace Dalrymple Elliott and Lady Ligonier were able to forge new, freer existences outside of their marriages. A woman might choose her lovers, whereas she might not have had much choice over the man she married. If wealthy enough, she could travel on the continent and maintain her own home according to her own wishes. As the late 18th century saw a rise in suits for separation, there were a number of dispossessed women of rank to befriend. In fact, many of them ended up entering the circle of the party-loving Prince of Wales and scaling the social heights. Hallie Rubenhold is a historian and author of Lady Worsley’s Whim. Posted in Blog, COLUMNS and tagged History; Blog;. Bookmark the permalink.